The date is December 22nd. 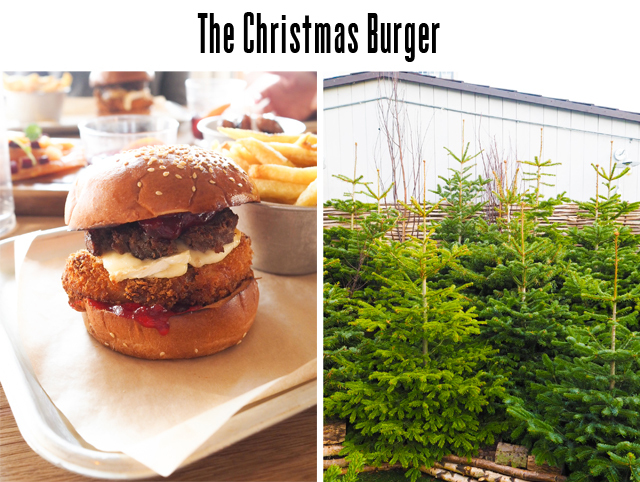 You have 48 hours to get yourself in to eat The Christmas Burger from Mac & Wild on the rooftop of John Lewis on Oxford Street. Well, you have that long to do so before Christmas has come and gone. But, if you aren't a stickler for details, you can still eat said Christmas Burger up until New Year's Eve. But know this, you will regret not biting into this mother of a fabulous burger. You will regret it for all time. Mac & Wild's takeover has been running since November 7th and I am both joyful and greatly upset by the idea that I am only finding out about this popup, and the unique menu on offer, just days before I fly away to the USA. I'm joyful because I'm pretty sure I'd never fit into clothes again had I known about this beautiful burger so far in advance. But, of course I'm also upset because this means I have only had one and now it will be gone for all time, from the roof terrace anyway. As I take passing on this information very seriously, naturally I've come here to shout loud and proud of the decadence that exists on a rooftop smack dab in the middle of shopping central in London. For those of you wondering what exactly sits in a Mac & Wild Christmas Burger, allow me to break it down for you. 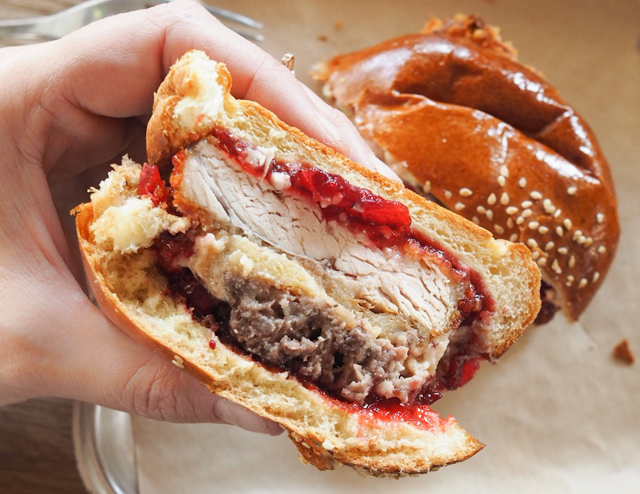 It is Christmas dinner shoved between two buns. Want more? Yeah, figured you would. There's Confit Fried Turkey. That's the bulky bit and it's the most moist slice of bird I've ever dug my teeth into. Venison Stuffing sits atop the turkey, followed by brie cheese, cranberry and truffled bread sauce. 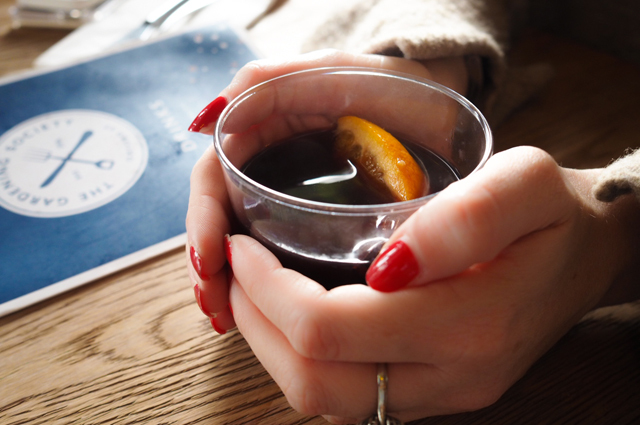 The first bite is quite simply heaven on earth and a moment I'd like to play on repeat on days that are particularly gloomy and difficult. So basically I need this burger on speed dial for all of January! 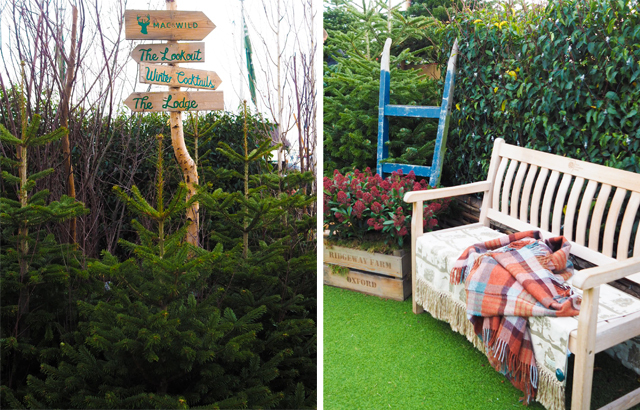 Now, should you find yourself out shopping on Oxford Street in the next 48 hours and you need space away and sustenance to keep going, let your culinary compass guide you here to Mac & Wild in the rooftop Christmas tree garden of John Lewis!